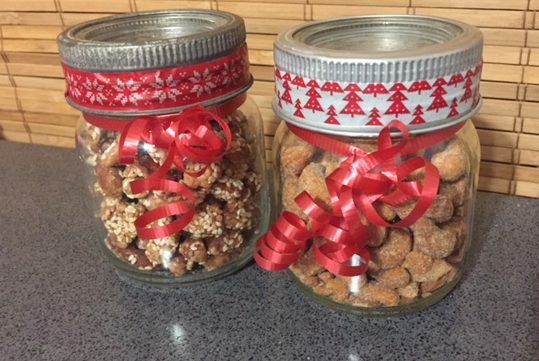 Today is Day 3 of my 12 Days of Christmas 2017 and today the gifts are neighbor gifts and in my books homemade gifts are always welcome, especially the edible kind. I roasted two different types and flavours of nuts, honey roasted sesame almonds and sweet & spicy roasted cashews. Links to the recipes will be available further down in this post. To put the nuts in I used these wonder vintage Improved Gem mason jars. 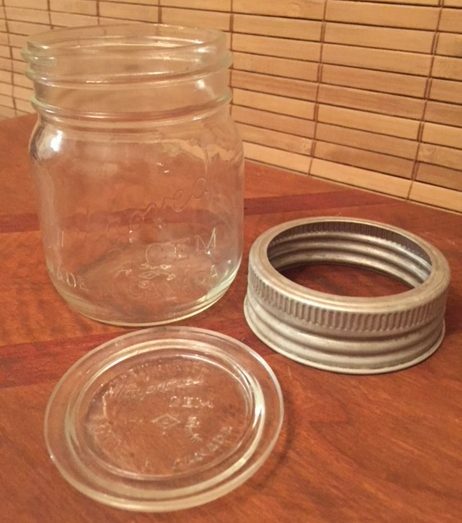 I love vintage mason jars and scored one dozen of the size shown below for $5.00. They turned out to be the perfect size for the neighbor gifts. 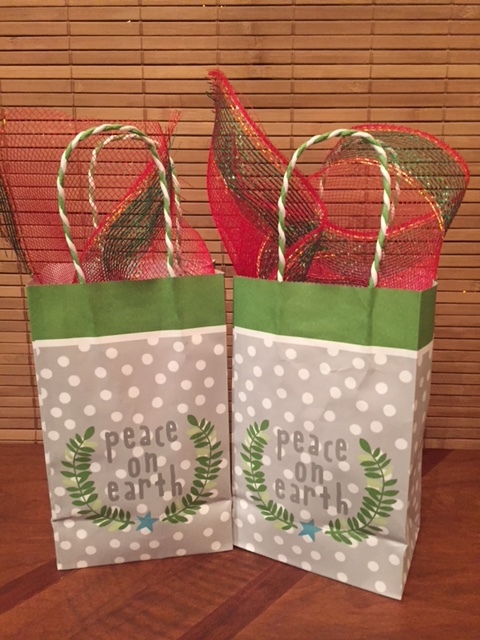 I added some washi tape and ribbon to dress up the jars, then wrapped them in a piece of leftover decomesh and popped them into gift bags that I bought in January this year at Michaels for 75% off. As promised, here are the links to the recipes. Honey Roasted Sesame Almonds can be found here, at Little Chef Big Appetite. Sweet & Spicy Roasted Cashews can be found here, at Leelalicious. These neighbor gifts hit all three categories I aimed for this year, thrifted, gifted and vintage, A Wandafulthing! Here is a recap of what you may have missed so far along with links to all the Wandaful Things I created last year (2016). It’s been a great deal of fun preparing for this event, and I can’t wait to show you what Wandaful Things I’ve been up to for Day 4, be sure to come back to find out. This entry was posted in Bake, DIY, Make and tagged 12, 12 days, Christmas, gifted, gifts, mason jars, neighbor gifts, nuts, Recipes, thrifted, vintage. Bookmark the permalink. this is a great hostess idea. Lots of way to do presentation also. Those are great neighbour or hostess gifts.